Spicebush (Lindera Benzoin) other names : Benjamin Bush , Northern Spicebush , Snap-Wood , Spicebush , Spicewood , Wild Allspice. 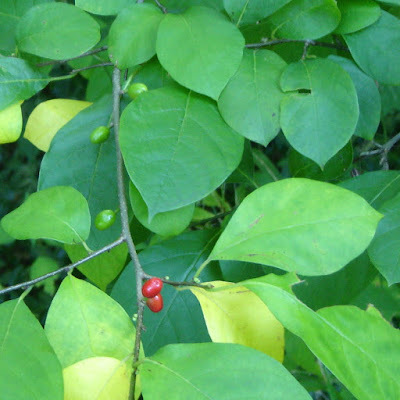 Spicebush (scientific name Lindera benzoin) belongs to the Laurel family. While the genus name of this plant has been derived from the name of the Swedish botanist named Johann Linder, the species name "benzoin" has been derived from a gum having the same name. This gum is very popular in the Far East. The shrub’s species name is "benzoin" because the spicy scent and taste of the plant is said to bear a close resemblance to the gum. Basically a shrub, spicebush has its origin in the north eastern regions of the United States. Spicebush is a widespread woodland shrub in its native region and can be easily identified by the aroma of its crushed leaves. In fact, amateurs will find it difficult to identify this plant from the shape of its leaves. The fruit of spicebush is red berries, which are produced in summer and are considered to be valued food for wildlife. Spicebush is dioecious by nature, denoting that one plant only possesses either the male or female reproductive parts. In other words, male and female spicebush plants exist separately. Only the female plants produce the red berries. Shrubs belonging to this species usually grow up to a height of 12 feet and are about 15 feet wide, provided they are growing in most favourable conditions. They belong to the Laurel family, which also includes species like sassafras as well as a number of additional spicebushes. At times, spicebush is also referred to as the northern spicebush, which is an attractive woodland shrub native to North America. This species succeeds in partial shade - for instance it is found growing naturally along the periphery of a forest clearing in its native land. The entire spicebush plant is fragrant. Early in spring, the female spicebush shrubs produce aromatic yellow blooms and these are followed by small vividly red oval shaped fruits or berries in autumn. As spicebush is a dioecious plant, both male as well as female plants are essential for producing fruits. As soon as the bright red berries appear on the female spicebush plants in late summer or beginning of autumn, they are eaten by animals and birds. The foliage of spicebush is dark green and glossy, similar to that of pawpaw (scientific name Asimina triloba). The foliage of this shrub is actually exceptional compared to any woody plant that possesses the aptitude to thrive in complete shade. The Iroquois and Ojibwa tribes of North America considered the spicebush berries as two dissimilar seasonings. They removed the seeds of the berries and used the pulp and skins for their sugary and allspice-like flavour. On the other hand, the seeds of spicebush berries were used for their fiery taste. People who wish to separate the spicebush berries into two separate spices ought to do it prior to drying out or freezing the berries, because it is nearly impossible to separate the seeds from the pulp and skin after preserving the berries for some time. Both whole and separated berries posses elevated fatty oil content and therefore, they may become rotten if they are stored at room temperature. 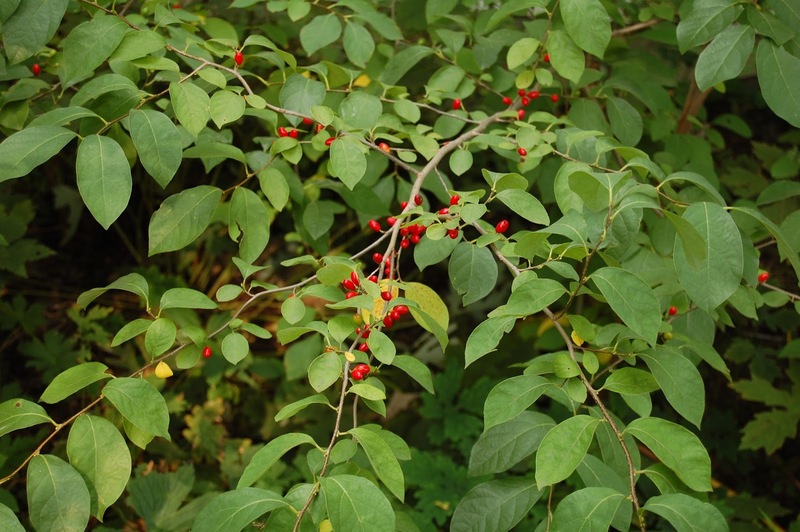 Ideally, the fresh as well as dried spicebush berries should be stored in a freezer. The stored berries can be ground in an electric coffee grinder before use. Here is a word of caution: be careful not to mistake Lindera benzoin with Calycanthus floridus, a different shrub native to North America. In fact, the common name for Calycanthus floridus is "Carolina allspice" and sometimes it is also referred to as "spicebush". Spicebush has a strong preference for rich soils that are permanently damp to soaked, and can thrive well in soils having variable pH, particularly in shaded conditions. Nevertheless, spicebush can adapt to dry and regular soils in sunny conditions quite well. When grown in the latter conditions, the plants will grow more densely, but less vigorously. Nevertheless, the female plant of spicebush will produce more flowers and fruits when grown in such conditions. The roots of spicebush are fibrous and can be transplanted without any difficulty. Providing the plants with sufficient amounts of water will help them to recover from the shock caused by transplanting. Spicebush is generally propagated by its seeds. It is best to sow the seeds in a greenhouse in autumn soon after they are ripe. It is important to note that the viability of spicebush seeds is very short and, hence, care should be taken to ensure that they do not dry out. When the seedlings have grown sufficiently large to be handled, they need to be pricked out carefully and planted in separate pots and continue to grow the young plants in a greenhouse throughout their first winter. The young plants can be transplanted outdoors in their permanent locations during the beginning of next summer. Alternatively, spicebush can also be propagated from cuttings made from semi-ripe wood. June is the ideal time for undertaking cuttings. After making the cuttings, plant them in a frame. Cuttings from full-grown side-shoots should be about 10 cm to 12 cm in length and each need to have a heel. Such cuttings should be planted in a cold frame. They will possibly develop new roots by spring next year. Apparently, spicebush seems to have no commercial use. Nevertheless, the aromatic essential oils obtained from the leaves, twigs as well as the fruits have been used for preparing a fragrant herbal tea, while the dried berries or fruits have been employed in scented sachets. Natives of North America have been using both the dried spicebush fruits as well as leaves for preparing an herbal tea. 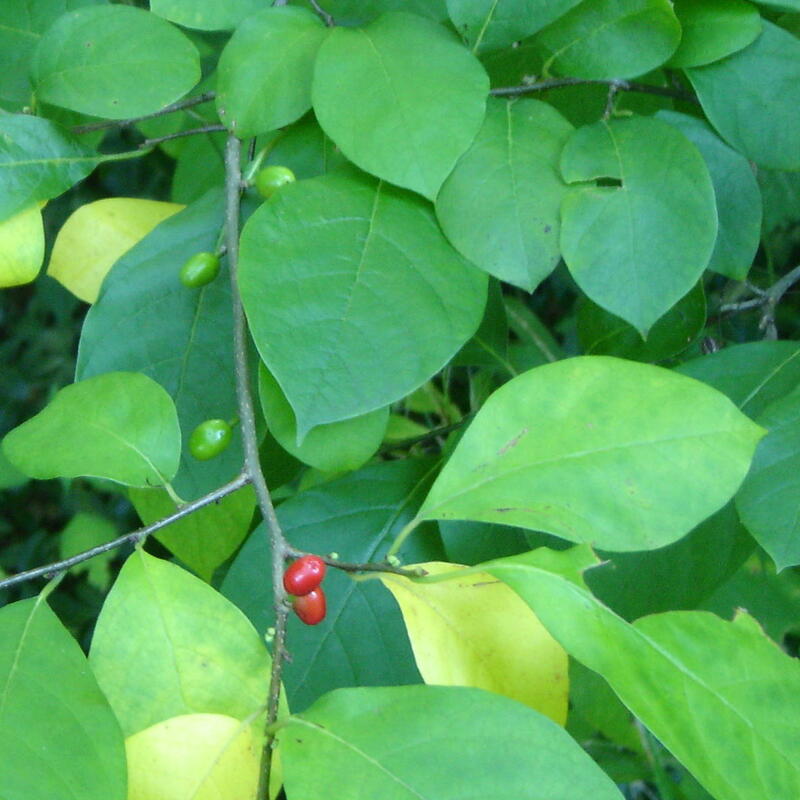 At the same time, extracts of spicebush have been used for manufacturing drugs, including those that are used for treating arthritis, and in the form of an emetic and diaphoretic. They are also used in herbal steam. During the Civil War in America, people used spicebush tea as a substitute for coffee, especially when the supplies were poor. People also used this spicy beverage for therapeutic purposes. There was a time when people used spicebush to bring down fever as well as to alleviate symptoms related to colds and dysentery. In addition, the Native Americans also used spicebush to combat intestinal parasites. Native Indians of North America were the first to recognize the warming attributes of spicebush and employed it in the form of a blood purifier as well as to promote sweating to combat anemia, colds, and rheumatism. Early settlers from Europe discovered that the drinking a tea prepared by brewing spicebush twigs effectively helped to provide relief from fever, colds, gas and colic as well as eliminate worms. A tea prepared with the bark of spicebush not only helped to force out worms from the body, but was also found to be an effective cure for typhoid fever. It is also effectual as a diaphoretic and helped to treat other types of fevers by promoting perspiration. The American Indians were the first to use spicebush berries to prepare an herbal tea and they found that it was an excellent remedy for various conditions, including cramps, croup, coughs, and measles as well as effective for treating delayed menstruation. The bark of spicebush is aromatic and possesses astringent, febrifuge, diaphoretic, tonic and stimulant properties. The bark of spicebush is often employed for treating colds and coughs. You can collect the bark throughout the year and use it fresh as well as dried. 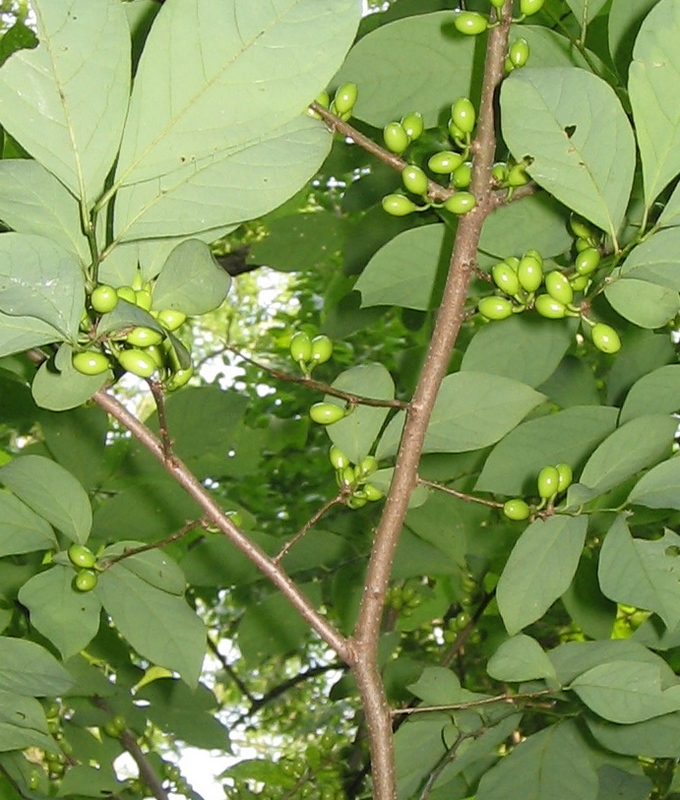 While the fruits of spicebush possess carminative properties, the oil extracted from them has been traditionally employed for treating rheumatism and bruises. Spicebush twigs are also added to steam baths to promote sweating, which, in turn, helps to alleviate body aches and pains. You can harvest the young shoots in spring and use them both fresh as well as dried. The bark of spicebush possesses vermifuge and diaphoretic properties. Spicebush leaves enclose small amounts of camphor and, hence, can be employed in the form of a disinfectant and insect repellent. The leaves yield oil whose fragrance is similar to that of lavender. When distilled, spicebush fruits yield aromatic oil that is spicy and bears resemblance to camphor. The oil obtained from the twigs and bark of spicebush smells like that of wintergreen. According to some people the aroma of the leaves, twigs as well as the berries is woodsy floral or citrus-spicy. They claim that the scent is not akin to that of allspice, but is more delicate and does not possess the overtones of nutmeg. The dried fruits of spicebush possess a potent spicy taste similar to that of pepper that mellows to a fruit-like flavour. Hence, it would certainly be interesting to use these fruits in various baked items, for instance gingerbread and many others. Various parts of spicebush plant are used for culinary purposes. The tender leaves, fruits as well as the twigs of spicebush enclose a fragrant essential oil and are widely used to prepare an aromatic tea. The best time to collect the twigs is when spicebush are in flower, because the nectar enhances the flavour considerably. In addition, the fruit or berries of spicebush are dried out and employed as an allspice substitute. The spicebush fruit has the same size as an olive. Even the leaves of this species can be used as a substitute for spice. The bark of spicebush also has a pleasant taste and can be chewed. The berries as well as the leaves of spicebush can be consumed raw as well as after cooking. The flavour of the berries that ripen at the beginning of fall is akin to that of allspice. These berries are like a warm spice, which may be used for baking as well as in pies. They can be consumed fresh or frozen for use when needed. In addition, the leaves of spicebush can also be consumed raw, generally in the form of a condiment. The fresh leaves can be used in both hot as well as iced tea. It is important to note that the leaves lose their flavour when they are dried. You can also seethe the twigs in water to prepare a warming tea throughout the year. It is advisable that you collect the red spicebush berries in the fall and subsequently dry them. Dried berries can be used in the form of a spice that can be used for both sweet as well as spicy purposes. Occasionally, these berries are marketed as "Appalachian allspice", because the berries or fruits of spicebush can be used in the manner you use allspice. In fact, these berries make a delectable ice cream and spice cake. Spicebush berries possess a peppery flavour, which is often attributed to their seeds. The peppery tinge of these berries makes them ideal for being added to marinades and meat rubs.